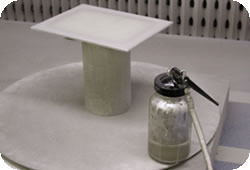 EmiClare mesh is in the centre of this demonstration sample. 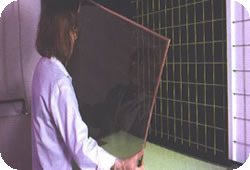 Compared to the traditional mesh of the outer frame. 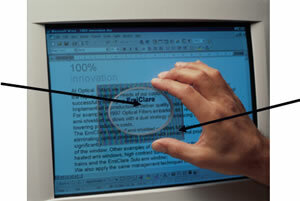 A display fitted with EmiClare mesh is brighter and more legible compared to traditional mesh. This is because Visiontek Systems was the first and only window manufacturer to re-engineer wire woven mesh specifically for electronic displays. Traditional mesh windows with configurations like 100, 80 and 50 openings per inch (opi) were inherited from non optical applications like chemical and partical filtration. 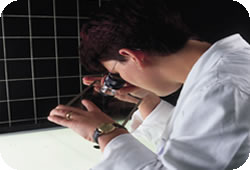 A clearer picture is achieved when shielding a display with EmiClare Mesh. The unique construction & geometry of EmiClare mesh creates less distortion and moiré fringing. 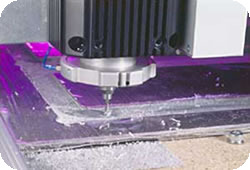 • High clarity non-glare or hard-coated clear gloss front surface finish. EmiClare Sigma is the quickest and most cost effective solution for shielded windows. Mass manufactured in state of the art clean rooms the polycarbonate laminated sheet stock is available in a range of standard thicknesses and provides the window with either a clear hard coat finish on both sides or non-glare hard coated front surface with a clear hard coating on the rear. Emiclare Ultra is a custom built windows using Emiclare mesh, available in glass or polycarbonate with options including extended mesh and sunlight readability filter.